Team - Esposito Construction Inc.
Our executive team has spent their lifetimes in an industry that many can not succeed over just a period of years. Our cornerstone principles are Teamwork, Transparency, and Thoroughness. We truly believe in the "team" approach. We are used to working with Architects, Interior Designers, Landscape Architects, Bankers, and many other professionals that may be needed to assemble the best possible product. Transparency is the key to any trusting relationship. It is hard to blindly trust any business transaction until you have faith in the mutual party. We make this easier with our clear billing options and the value we put on our clients' input. Attention to detail is necessary for all parties' satisfaction. If we are not happy with the product, we can not have pride in our work. Without pride in our product, our clients will ultimately have problems we don't want to back up. There is not one project we have completed that we would not show to another prospective client, and our clientele back that up. After learning the family business from his father growing up in New York City, Ellery moved to Oldham County with his wife and their first son Aaron. 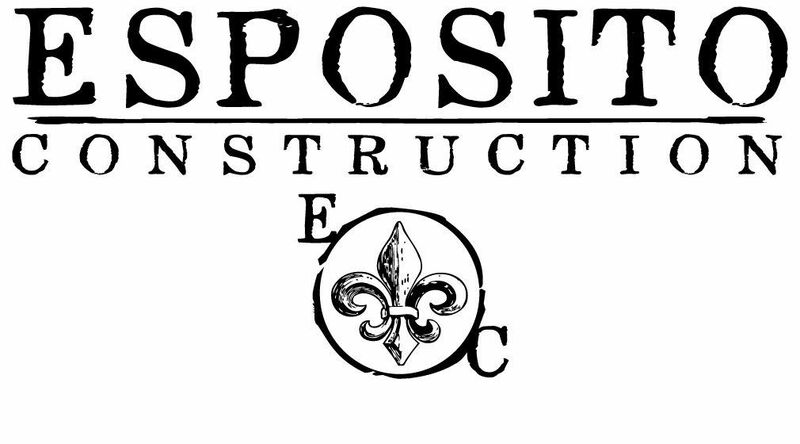 I was here that they began the business that is now known as Esposito Construction. In addition to his multiple decades of experience in the construction industry, Ellery has been honored with awards on a local, state and national level. In addition to winning the Howard C. Reeves Memorial Award, and the Elmus R. Ussrey builder of the Year award, he has served on the Executive Committee for both the State and Louisville Association where he served as President for both. His attention to detail has been appreciated by his clients for over 40 years, and continues with the projects he runs today. After a brief career in journalism photography Jeremy decided to take his passion for the aesthetic and design into his family business. Joining the firm in 2001, he began completing his long and varied list of projects that include the likes of century old farm houses and brand new estate homes. Winner of the Judges Remodeler Award for best renovation in the state in 2013 and the Howard C. Reeves Memorial award, Jeremy is very involved in the Building Industry Association on the state and local level. He will serve as President to the BIA in 2017, and currently serves as a State and National Director for the association. His personal attention to clients needs have won him referral after referral to a growing group of very satisfied clientele. Joining the business is 1995, Aaron has spent over two decades dedicating his efforts to both his clients and the building industry. Serving on the Building Industry Charitable Foundation, and a recent graduate of Leadership Oldham County, he makes big contributions to his community. With several projects highlighted in multiple design magazines he is known and recommended by several high-end design firms. Aaron is known for his intensity to create a unique product with unmatched quality, and his past clients know how he takes a sense of stewardship towards his clients' finished homes as well as their pocketbooks.